The tubing head adapter creates a transition between the tubing head and the Christmas tree. The bottom connection bolts to the tubing head and the top connection attaches to the lower master valve. Adapters are available in several types for single or dual completions. 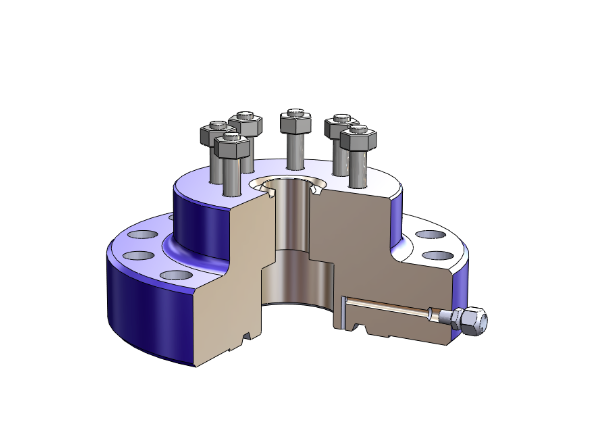 They are available in all standard API flange sizes, pressures, and trims. Its primary function is to suspend the tubing string and seal the annulus between the tubing and production casing. 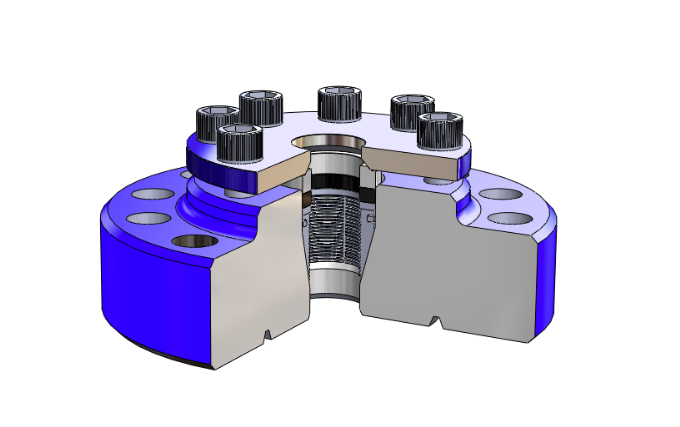 B-1; is a flanged bottom adapter with internal female suspension threads and male top threads that connect to a threaded lower master valve. 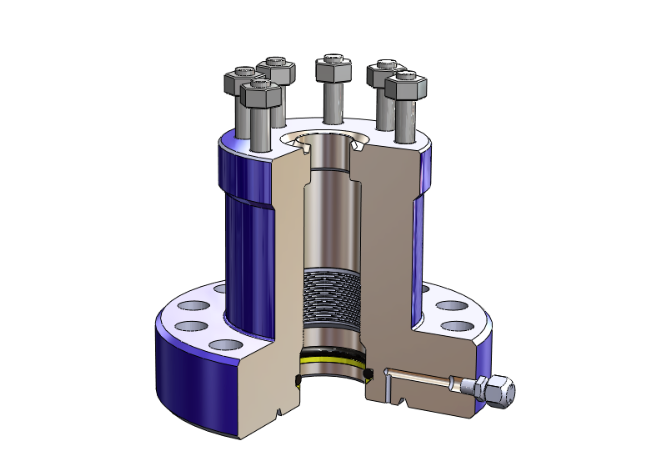 Ideal for pumping or low-pressure wells. KTH; bolts to the tubing head and has an internal slip & seal assembly to suspend and seal around the tubing. The lower master screws directly to the tubing. Ideal for pumping or low-pressure wells where tubing stretch is limited due to tubing anchors. B-2P; Low-cost adapter that has a flanged or studded top and bottom connection and internal female suspension threads to suspend the tubing. No BPV prep is available and it is used in conjunction with the TC-1W. 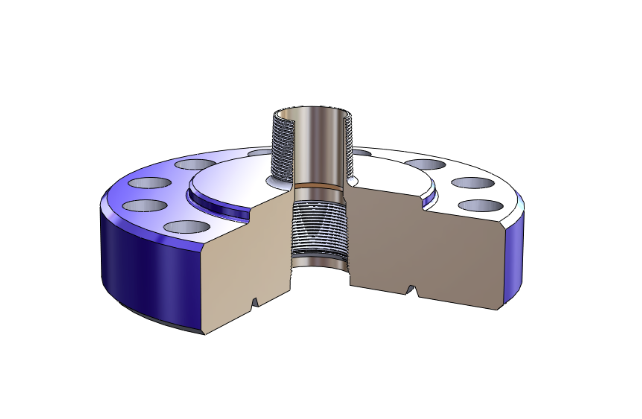 BO-2; Has a flanged bottom connection, a studded top connection, and internal ACME threads to support a BO-2 hanger coupling. The BO-2 coupling screws on to the tubing and directly into the BO-2 adapter by rotating the tree assembly. The BO-2 coupling has internal back-pressure threads and is used in conjunction with the TC-1W wrap around tubing hanger. A-5P; Flanged or studded bottom and top connections. It is made to seal over the neck of the TC-1A-EN tubing hanger. Ports are available for down-hole control lines. The tubing hanger stays in the tubing head when the tree is picked up. Ideal for snubbing operations. Dual Completion; flanged or studded bottom, prepped internally to seal over the TC-60 tubing hanger. 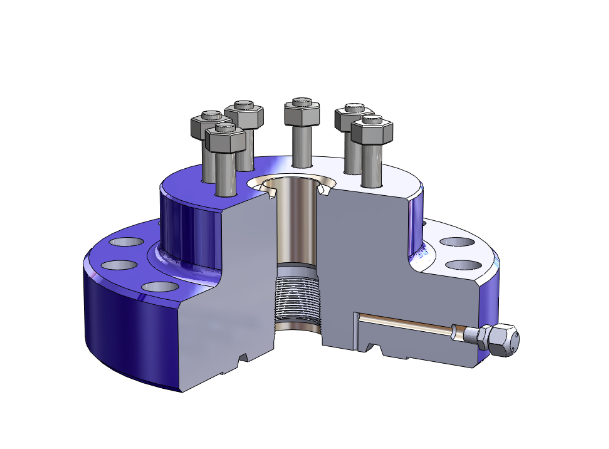 The top connection can be prepped for either dual block valves or dual segmented valves.